Because the original Sierra Screen Shot Game has exceeded 200 pages; I spoke with Collector and thought it would be fun to create individual "game" themed screen shot games. This would also allow people who are more familiar with specific games to feel more comfortable trying to guess the screen shots. 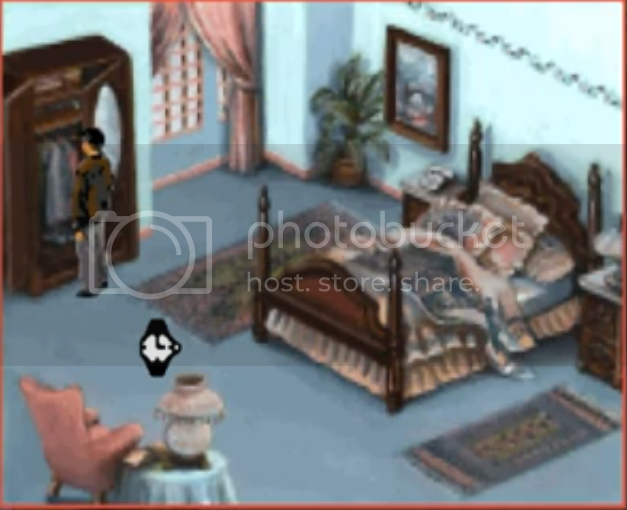 So the idea of the game is, you post a cropped screen shot from one of the games for this section of the forum (in this case, POLICE QUEST). Everyone's entitled to guess; and gets one guess only, until they're told that they're wrong or correct. The correct guess allows that person who guessed correctly to post their cropped screen shot for others to guess. But because this version limits it to the games; it would go too quick trying to guess which game it's from. Instead, there's two alternate ways to guess the cropped screen shot being shown. You can either 1. Post the full screen as your guess (from which the screen capture is coming from, which is usually a sure win, if you got the right screen). Or 2. You can write down a text explanation of the screen shot's location. (For example, you might say, "That cropped screen shot is from GAME01, it's the scene where the CHARACTER'S HOUSE is on fire." or something like, "That's GAME01, where the INVENTORY ITEM is picked up from." Something that shows you know - or think you know! - where that screen crop shot is from). NOTE: if you post a screen shot answer, you do not need to say which game it's from. However, if you're answering by text (no screen shot), then you will have to guess the game and the location of the screenshot. Where in PQ is this from? Nice! I couldn't peg where that was from! Opening scene of PQ4 at the crime scene. Sorry this reply is so late!